The list of things I’m a sucker for is vast and, largely, without value. Somewhere in the middle of that list are entries for unexpected sliding doors and Renault LeCars. Incredibly, there’s a real-world intersection of these two things, and it’s known as the Renault Supercinq Van by Heuliez. This 1985 concept was based on the Renault 5, which we got here in America briefly as the LeCar. Weirdly, this isn’t the only van to be based on the LeCar/Renault 5 – the same coachbuilder, Heuliez, also made a little van with a bubble window and shag carpets engineered for maximum sexiocity. The Supercinq Van was different, though. Where the Le Car Van was all about ridiculous, swing-club-themed fun, the Supercinq Van was a study in practicality and clever packaging. The little Van was made from a stretched Renault 5, with a sliding door added at the passenger side. In the rear, a pair of ‘modular’ seats in the trunk area folded out to allow up to seven passengers! It was shown in taxi and delivery van versions, and it is a pretty clever exercise in packaging. 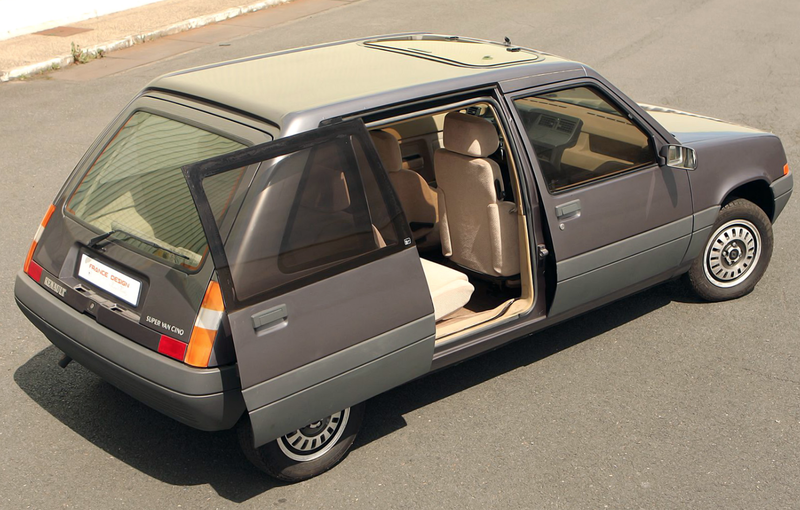 I think the real story here, though, is how badly French coachbuilder Heuliez wanted to make a Renault 5 van. I mean these guys wanted it badly. Have I ever wanted anything as badly as these guys wanted to force the Renault 5 into a van? That’s pretty fantastic, right? Look how much storage you had in the back! These guys were masters of adding massive amounts of practicality to cars nobody was interested in being that practical. That’s why I love them so. How Would Our World Be Different If This Golf Prototype Had Made It?